Bogey and Bacall? Amateurs. Hepburn and Tracy? As if. All of cinema has been waiting for this moment. Cameron Diaz. Benicio Del Toro. Don’t worry, it gets even better. The movie is Agent: Century 21, which is perhaps the first movie to have product placement in its title. And the plot sees Diaz as a real estate agent captured and sent on some kind of adventure by a Mexican drug lord played by Del Toro. Incidentally, if they had flipped the casting for the parts, they’d have comedy gold. Don’t worry, though! It’s written by the guy who wrote Stuart Little! How can it not be amazing? I adore the 1990s sketch comedy show “The State,” and I don’t care who knows it. Sure, it’s dated, but me, a bag of Funions and the boxed set have been known to kill a Saturday night. Nobody’s reading this, right? At any rate, some of the gang from that show are reuniting once again. 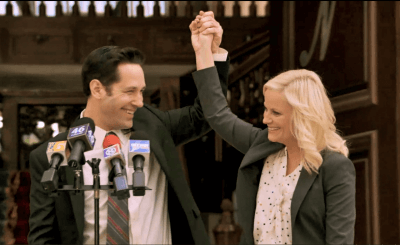 As they did with Wet Hot American Summer, David Wain and Michael Showalter are pulling in their buddies Amy Poehler and Paul Rudd for They Came Together, which is not an entry in the “50 Shades of Grey” series, despite its title. It actually follows an on-again, off-again relationship between a big corporate dude and a small business owner lady. Based on the pedigree alone, I’m in. Based on the title alone, I’m not telling anyone I’m going. Joseph Gordon-Levitt and Sacha Baron Cohen have both exited Django Unchained, presumably because writer/director Quentin Tarantino fears that all people with three names are secret assassins. More than anything, this is likely a result of the push to get this into theaters by December, but if either of those actors wind up murderers, don’t say QT didn’t warn you.